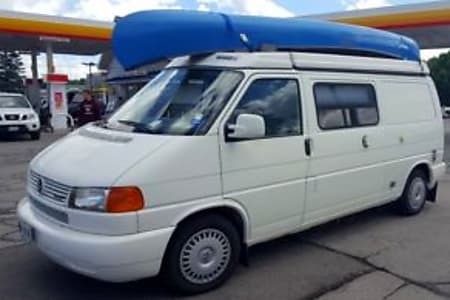 Here’s a list of the standard equipment that every van rental comes with; it’s everything you need for a week of adventuring. Scroll down to read more about the features of each individual van, and pick the one that’s right for you! Little Bird is a 4-speed from 1985 and is our newest member of the fleet. She’s still being worked on a bit, but she should be good to go with new paint, a new engine, and new undercarriage hardware and tires by autumn. She can’t wait to get out there and fly. 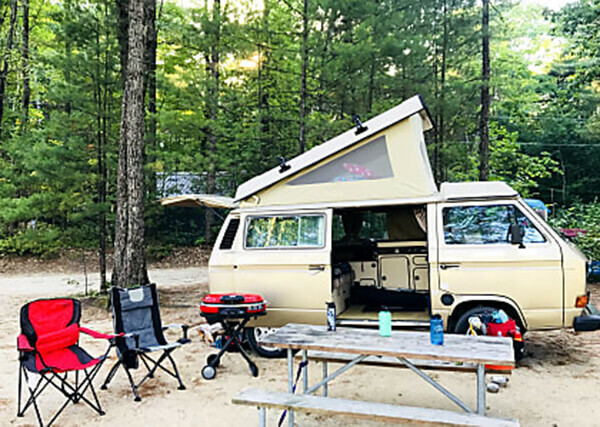 Lulu is a Eurovan and is a bit more modern with an automatic engine, ABS brakes, air bags, AC, and an outside shower, but she still brings just as much flair to your adventure. 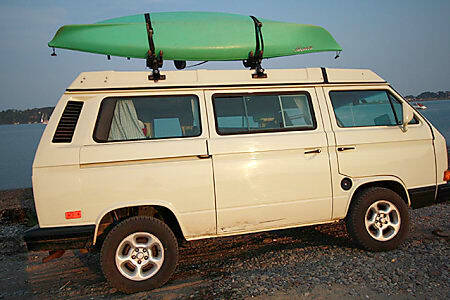 Goldie is a 1985 Vanagon with an automatic transmission, and has been on some amazing trips along the east coast. She’d love for you to take her somewhere new! 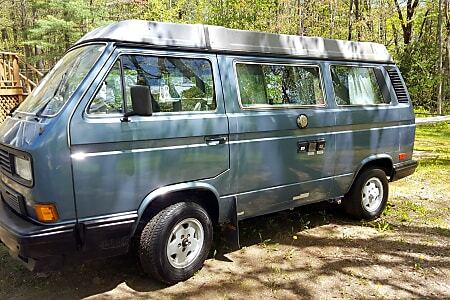 Lilee is a sweet and reliable 1990 Vanagon with AC and manual 4-speed transmission who is ready to take you anywhere you want to go. 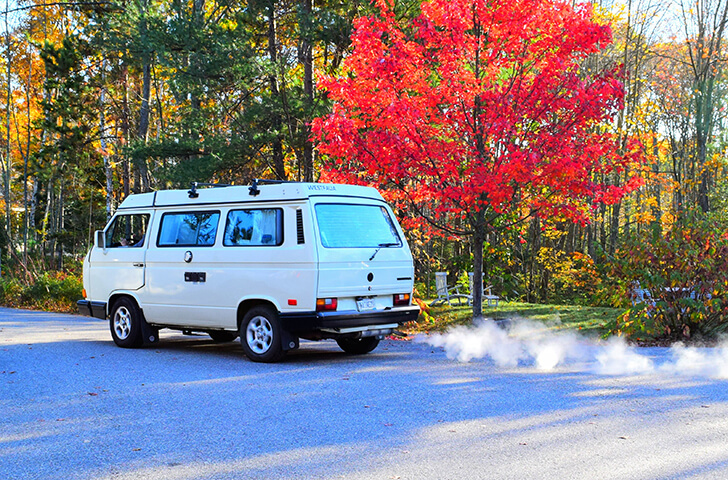 Lupine is a cutie from 1988 and has a manual 4-speed transmission with only 66K miles on her! She’s got some new bells and whistles like tires and a rebuilt engine. Blanco is still a work in progress – more info soon! 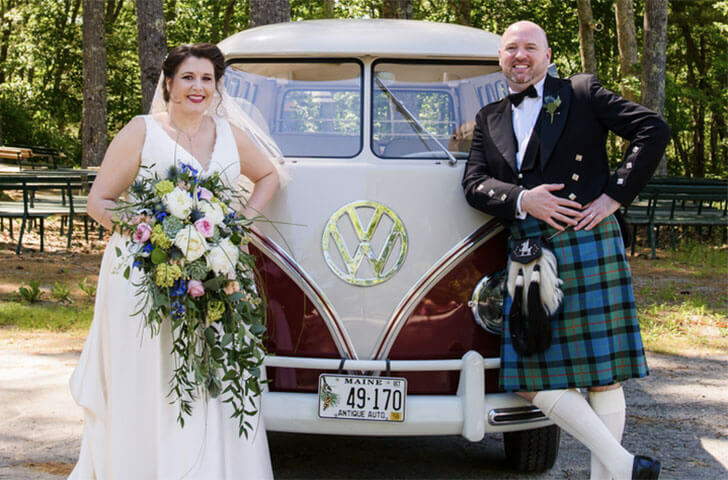 Das Bus is from 1967 and is the perfect vehicle for your special occasion. She’s got thirteen (!) windows and can seat up to nine people; we provide the driver. A four-hour minimum is required for reservations. 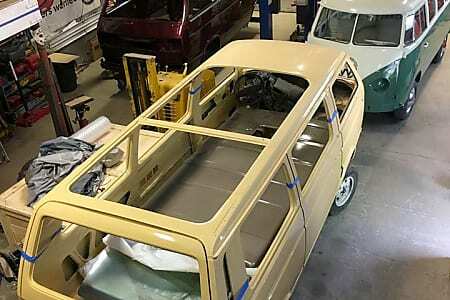 Lilac is one of our only automatic transmission vans. 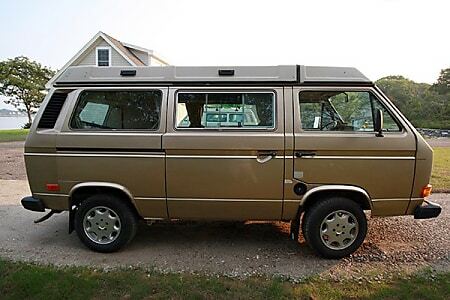 She’s from 1987 but her engine is brand new, and she’s ready to haul your gear with a towing hitch.